Book 2 of The Insatiable Paranormal series, available by October 23, 2014. 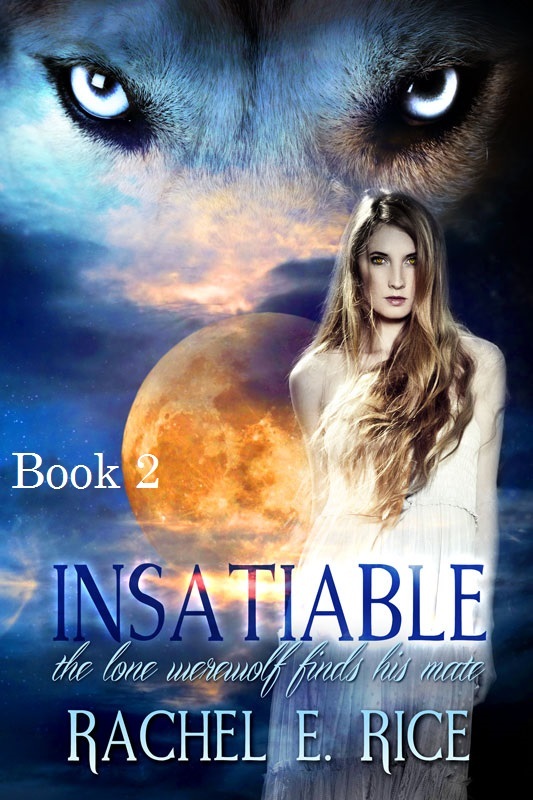 Until then read an excerpt from Book 2 (Insatiable: A Werewolf’s Hunger) below. Click on Mailchimp to sign up for newsletters about my latest releases and free give-aways. Adrienne stirring, twisting to her right side, then her left. She felt full even though she scarcely ate anything. It was a comfortable bed but for some reason everywhere she turned she was uneasy. She wanted to sleep but she couldn’t. She closed her eyes and open them wanting to scream but not a sound passed her lips. How could she describe to Wilder what happened to her a year ago? She couldn’t even explain to Paul and it was largely his fault. He and her parents wanted to keep what happen to her quiet and not make waves because the boys’ families were rich and powerful. Adrienne managed to get on with her life, put the “incident” as Paul descried it, out of her mind and not think about the night some of Paul’s frat brothers came over to their apartment drunk. Paul had passed out in the spare bedroom when two or maybe three men entered Adrienne’s bedroom. She couldn’t remember their names or faces but she will never forget their voices. After that, it was all a blur. She recalled going to the hospital and waking seeing the doctor shake his head and saying to her parents that she could never have children, and the doctor breaking the news to her and Paul. Then Paul said to Adrienne that they should never speak of this again, and that he would marry her that June. LOCAL RESIDENT ADRIENNE WARD DISAPPEARED. AFTER A MONTH OF SEARCHING, SHE IS PERSUMMED DEAD. CAR RECOVERED. BODY MISSING. Adrienne sat up took a deep breath and drank a glass of milk, “That’s just fine. What kind of police work is that? They can find a car buried in mud on the side of the road, but they can’t track a live body into the woods,” she murmured. She couldn’t eat because she was feeling weak and woozy so she slid under the covers to catch up on her sleep and to get her body into shape. Although she loved Wilder and wanted to stay with him, this was not her world. She reconciled that she would leave as soon as she got the chance. It would take a lot of rest to prepare herself to break away from these den of wolves, she thought. Insatiable now available on Kindle. The paranormal romance novella Book 2 coming in October, 2014.